Reed tool crimps rings easily, giving good connections. PEX Crimper are the right tools for PEX systems and properly seal the rings without distortion. 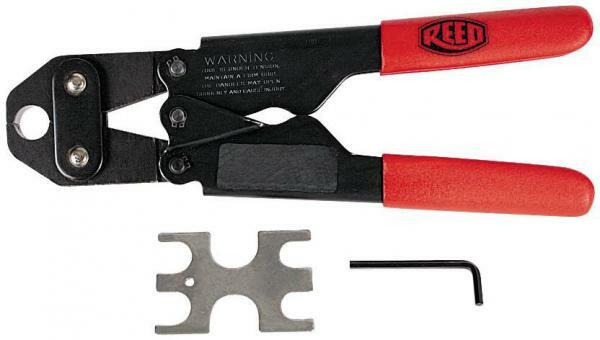 Each Reed copper ring crimper includes a go/no-go gauge and an Allen wrench.